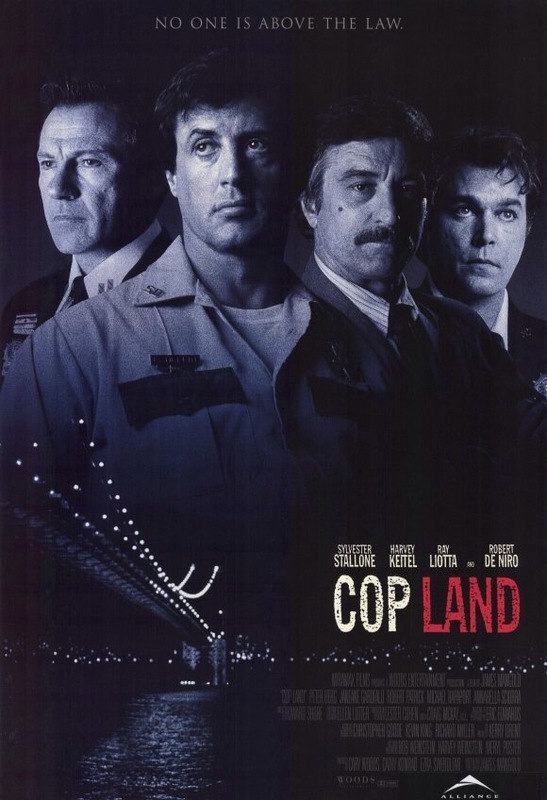 Starring: Sylvester Stallone, Harvey Keitel, Ray Liotta, Robert DeNiro, Robert Patrick, Peter Berg, Michael Rapaport, Annabella Sciorra, Janeane Garafalo, Noah Emmerich, Cathy Moriarty, John Spencer, Frank Vincent, Malik Yoba, Arthur J. Nascarella, Edie Falco, Paul Calderon, John Doman, Victor Williams, Method Man, Frank Pellegrino, Robert John Burke, John Ventimiglia, Tony Sirico. The problem with Cop Land, is that it’s full of cops. Well there is that, but in all seriousness, for any fan of the crime genre they will find there are two things that are unavoidable when looking over the cast of the film. 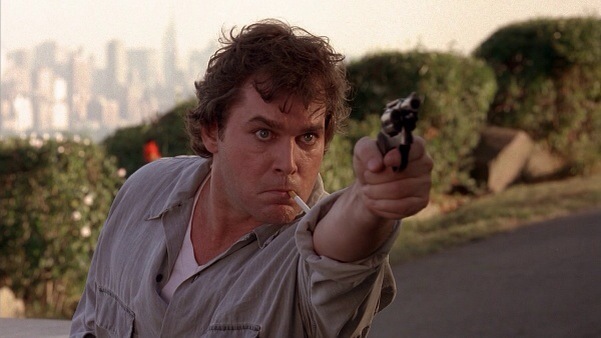 One, is legendary director Martin Scorsese and the regulars that feature in his work: There is, of course, DeNiro and Keitel (who need no introduction) but there’s also Liotta (Goodfellas), Cathy Moriarty (Raging Bull) and Frank Vincent who appears in both the latter two (as well as Casino). 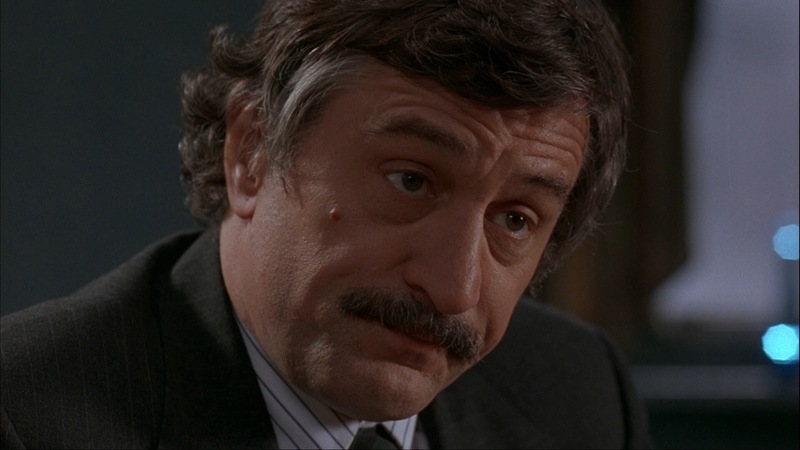 Vincent also brings me to the other unavoidable thing… the finest television series on the subject; The Sopranos. By my count, there’s no less than ten cast members that are recognisable throughout six seasons and those well versed will notice; Carmela, Paulie, Artie Bucco and Vincent’s Phil Leotardo, among others. 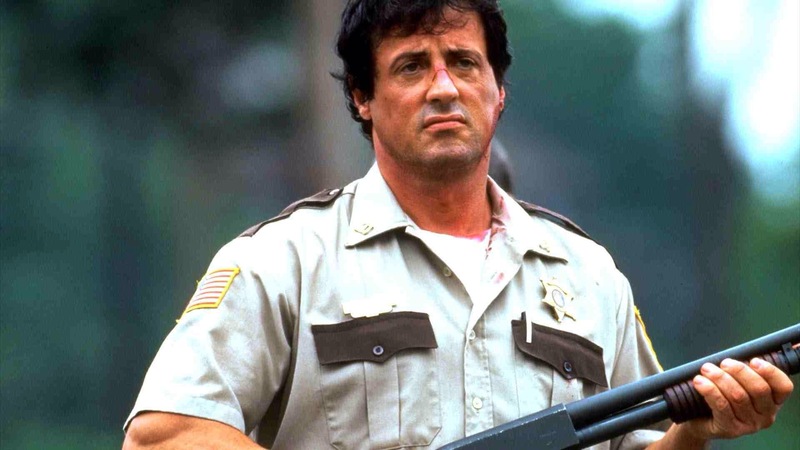 Trivia: Sylvester Stallone gained 40 pounds to add realism to his portrayal of the police officer. He also was only paid SAG minimum wages. By the time that reshoots were required, he had lost the weight again. This entry was posted on September 29, 2015 at 3:37 pm and is filed under Crime, Drama, thriller. You can follow any responses to this entry through the RSS 2.0 feed. You can leave a response, or trackback from your own site. It’s by no means a turkey. It has plenty going for it and lots of great scenes with all the actors on very fine form. It’s just frustrating that the script is full of holes. I would still, somewhat, recommend it, though. Good stuff bro. It’s funny you mention this one. It is a movie I have been meaning to revisit for a while now. From what I remember we see it pretty much the same. I was the same bro. Always had it in my head to revisit. My opinion of it is still pretty much the same when I first seen it. It’s decent. Plenty of plus points but still a bit frustrating that it doesn’t work as a complete whole. Great stuff Mark, you always introduce me to movies I’ve never heard of. It’s a decent little film, Vinnie. Flawed but decent! I’m sure you’re not getting on Mark, you’re still young. Remember Mark, age is just a number. You’ve got a great sense of humour dude. Nice review here, Mark. I’ve always loved this film. The details are so intricate and finely layered, and the acting is just top notch. Loved your High Noon comparison to its conclusion. Because, man, whatta set piece that is. Cheers Alex. It certainly has a lot going for it. I wasn’t overly taken with the plot. I found it underdeveloped but I’m absolutely with you on the performances. Everyone was fantastic and that conclusion was very well delivered. Normally I’m not a fan of movies ending this way but Mangold put a fresh spin on it and it was very effective indeed. Good stuff Mark. I think you’re spot on with this…many of the ingredients are there for a classic but something’s missing, and although I remember enjoying it at the time it really hasn’t stayed with me. Great cast though, amazed by all the names you listed. I saw The Sopranos afterwards, like most other people, and had no idea so many cast members were also in this. Yeah, I remember liking it when I seen it the cinema, Stu, but it left me with feelings of it being a missed opportunity. It’s a decent flick but it could have been more. I still have the same feelings now as I did then. This is not necessarily the kind of movie that grabs me,a nd I have a natural repellent to Sly, but you make this one sound worth checking out, so maybe I will. I’m fairly sure Sean’s seen it. He’s totally the type! 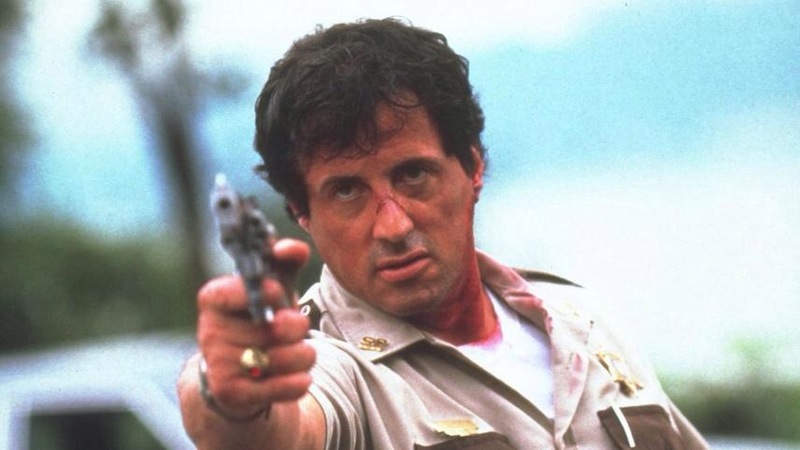 I normally have an aversion to Sly too (with the exception of Rocky. I love Rocky). That said, he’s actually quite good here. He plays against type and it works. 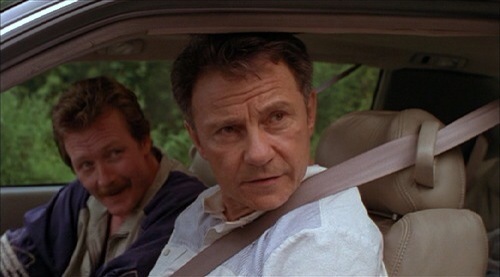 He more than holds his own, especially with the likes of DeNiro, Liotta and Keitel around. It’s a decent flick. Worth some attention! Cheers Jay! Wow, that’s a pretty exceptional cast. It’s a shame the screenplay doesn’t quite match up. I’ll need to keep an eye out for this. Great work Mark! Cheers mate! It a worthwhile flick and the cast are just sublime as expected but, yeah, the script could have been tighter. Saying that, it’s still decent entertainment! I recall getting very excited at the thought of seeing this when it came out due to the incredible cast, but was a little underwhelmed when I finally caught up with it. Never seen it a second time. Probably should though. It didn’t live up to my expectations either, man. Still, it’s a decent flick that has some moments of greatness. It’s just a shame that it couldn’t capitalise on its very fine lineup. Despite the premise being a good one, the script had far too many holes in it. I’d wager if you seen it again, you’d probably still feel the same way you did. Nice, you can put me down as another who has never heard of this (somehow). I think I’ll give it a shot, this cast is too good to ignore. Jesting aside, it’s worth a look. The can’t are fantastic but unfortunately they’re let down but a colour by numbers script. Still has great moments, though. Ah, yeah that sounds about right. Another Mark Walker delusion. Hahah! Definitely would be willing to check this out, flaws and all. Now, where to find it is the question. . .
love this film. too bad more people dont know it. Great cast and despite some blatant holes, it essential works well. Cheers Rob! It actually surprises me that more people hadn’t heard of this. How can a film with this cast slip under people’s radar? I’m with you, though. There are blatant holes but still some good stuff going here. I still marvel at the cast in this one. I get your concerns and think there’s moments where Cop Land could have gone from been very good to great but it still works for me. One of the best of the decade in my opinion.